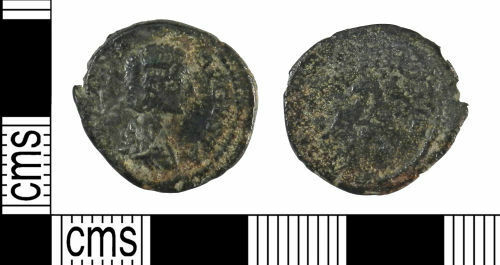 A copper alloy contemporary copy plated core of Julia Domna dating to the period AD 196 - 211 (Reece Period 10). MATER DEVM reverse type depicting Cybele seated left holding branch with lion at feet. Mint of Rome. RIC IV, pt.1, p.169, no.565.